We are now on our 5th week of emergency kidney dialysis treatments. Daniel is scheduled for 3 visits per week, at 4 hours of dialysis per visit. He still has a heart catheter through which this procedure is done. He has responded very well to these treat-ments, and has experienced very minimal negative reactions, Praise YAH! He is treated with the utmost care and compassion by the dialysis nursing staff. We have learned much regarding the amazing miracle of this health care treatment which YAH has created and allowed us to receive for such a time as this. YAH has comforted us with His Presence to overcome our fears. We have come to affectionately call the center “L’Chaim!” the Hebrew word meaning “to Life!” After all, we have been given another chance to live by this invaluable resource. One month ago, the kidney doctor diagnosed Daniel’s kidney function at an alarming 4%, the other kidney at 0%. We were told that he was in end stage kidney failure, with total failure (death) probable at any given moment. But YAH heard our pain and our cry! Your faithful prayers have opened the Heavens to pour out Blessings of Healing! The doctors tell us that Daniel was born with one kidney 20% the size of a normal kidney, without function. The other kidney did operate, but perhaps not fully. With the passing of years, that kidney was reduced to kidney failure because it was working so hard to keep his system clean, especially when diabetes set in. Now, one month later, Daniel looks and feels better, and we are greatly encouraged! His energy level is up, he has not suffered any more chest pains, and is not breathless after walking a few steps. The dreadful psoriasis rash has almost completely cleared up from all over his body. He sleeps better, his vision is stronger and is able to read/study again. His glucose levels and blood pressure numbers are better, but he still needs to improve on those. Please keep praying! He is still critical and NOT on any medications! HalleluYAH! With the help of your kind donations, Daniel is continuing to purchase the amazing natural Glyco-nutrient product which brings great benefits to his health. We are so GRATEFUL for your support in this, as we do not have a financial means to provide this product for ourselves. We have not been able to work or travel in ministry for some time now, due to these health challenges, so it appears that YAH has provided for us through your abundant kindness. We are truly THANKFUL for all your Loving Kindnesses! YAH blesses those who bless His people, so may you fully “Reap what you have Sown” on our behalf! This is His promise. Amen! Our faith is strengthened and we are greatly optimistic about continuing the ministry work which YAH has entrusted unto us. Our incredible daughters and wonderful close friends have stepped up to help us, we are not alone. We remember all of you in our daily prayers, thanking our Gracious YAH for all you have done for us! We hope that you will continue to lift us up for the manifestation of His Promised Healing to come upon us, and that you will not forget us and how we long to be well to fully minister in Dance to Worship among you again. May YAH’s will be done. Amen. 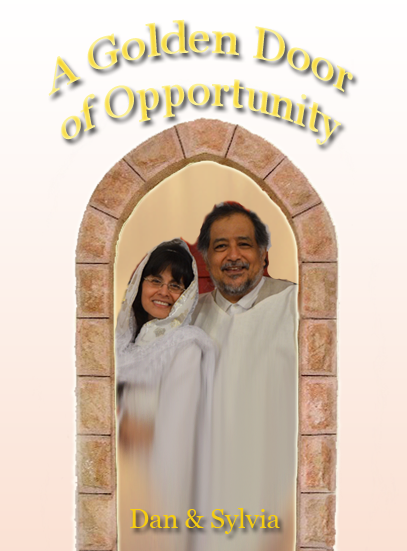 Daniel and Sylvia are beloved Shepherds with the Alliance of Redeemed Israel.